Singapore's Maritime and Port Authority (MPA) said the MV Polaris had collided with a Greek-registered bulk carrier, Piraeus, at 2.28pm today. 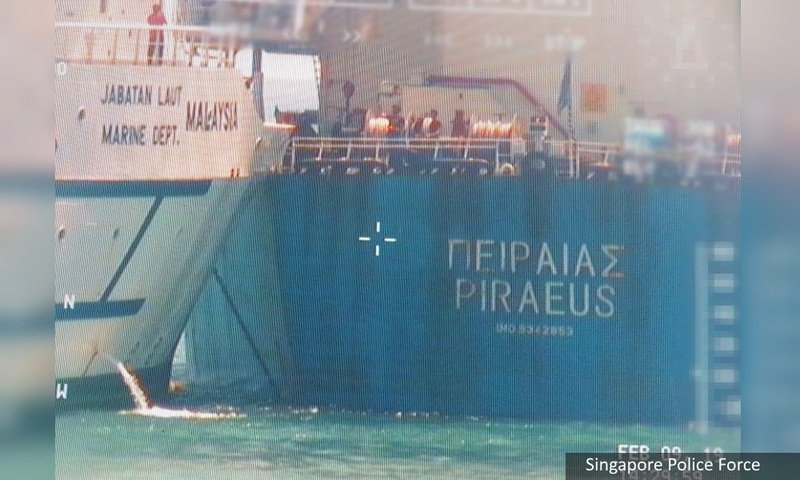 The Piraeus was on its way from Singapore to Tanjung Pelepas in Johor when the accident occured. It later reached the Johor port at 3.59pm. Singapore claimed the collision occured in "Singapore territorial waters within Singapore Port Limits off Tuas". 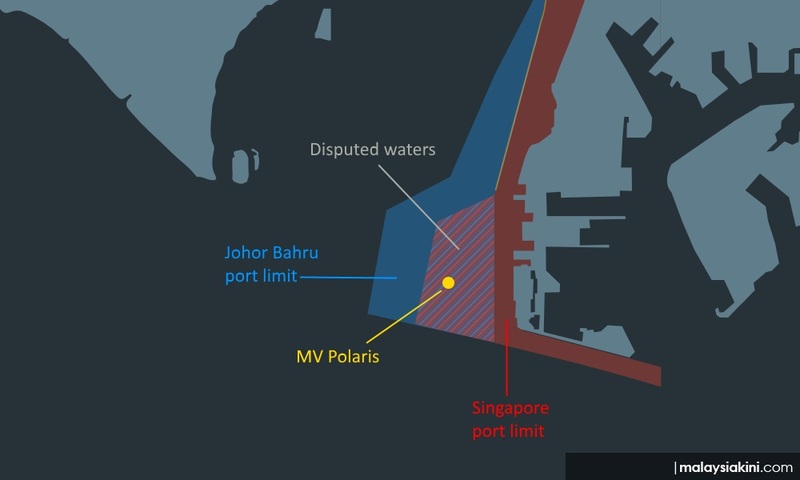 "MPA is deeply concerned that the presence of unauthorised vessels in Singapore port limits can cause confusion for the international shipping community and threaten navigational safety in our waters," it said in a statement. Based on tracking data provided by Marine Traffic, Malaysiakini determined that the MV Polaris has remained in waters (above) claimed by both Malaysia and Singapore for the past 24 hours. Malaysiakini has contacted Wisma Putra for comment. There has been no oil leak reported from the accident. It is also unclear whether anyone was injured.